DC’s Extended Universe continues on with Patty Jenkins’ Wonder Woman; the origin story of the character that was introduced in Batman V Superman: Dawn of Justice. There was a lot riding on this film. Other entries in the DC Extended Universe have had a mixed reception and there’s the extra baggage of female led superhero films not having the best critical reception historically. Outside of that there’s the fact that Wonder Woman is one of the most iconic superheroes of all time and is only now being given the live action cinematic treatment after being introduced in comics in 1941. That level of baggage being assigned to one film is a lot to bear. The good news is that the film works and works very well. 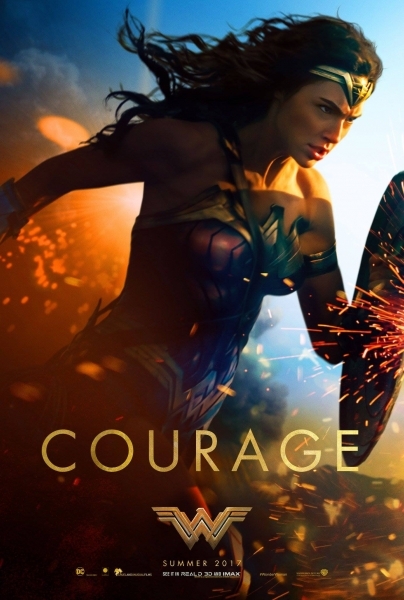 It broadly takes the form of a character study as Diana aka Wonder Woman (Gal Gadot) takes her first steps into the world outside her closed off island and learns about humanity after a male pilot accidentally crash lands there. Interestingly this film is set during World War I which makes if fairly unique in the superhero genre. It also enhances the fish out of water idea when Diana heads to the world outside her home. It’s completely alien to her with bizarre ways of doing things and customs which is nicely replicated in the viewer who won’t be entirely familiar with what life was like during World War I. A working knowledge of the facts associated with the time is one thing but it will be difficult to understand what it was like to inhabit that time period. In many respects the viewer learns as Diana learns and that helps her emotional journey gain more weight. The story ticks along nicely. A lot of time is taken to establish Diana as a character so we have a fair idea of who she is and what role she has in her homeland. The Amazonian culture could have stood more development but we learn enough about them for the purposes of the story. All that is really important for this story is that Diana has a strong connection to her people but is also curious about the outside world. Steve Trevor‘s (Chris Pine) accidental arrival is when things change. Diana sees a man for the first time in her life and hears about the War raging across the world. This sparks her curiosity and she decides to explore this new world to find out if something from hers could be the cause. It’s a really simple story which provides a lot of room for the characterisation to come through. Diana is a fascinating character. She is immediately established as being strong willed, optimistic, compassionate and curious to learn more about what goes on outside her little bubble. Gal Gadot plays her with a believable level of naivety that starts to lift the more she learns. The wide eyed curiosity never goes away though and her compassionate nature always radiates from her. Her brief appearance in Batman V Superman: Dawn of Justice didn’t allow Gal Gadot much time to establish anything significant about the character but this film definitely proves that Gadot was the right choice to play this role for the reasons I’ve already outlined. She also brings an exotic quality to Diana which fits with the established Amazonian culture. Chris Pine is something of a mixed bag. He’s fine in the role but there’s an inconsistency to his performance. Some scenes he is passionate and engaging but there are others where he comes across as somewhat flat. It’s refreshing to see a male play the love interest in a tentpole superhero film which is definitely the right thing for this film. The character as written has enough depth to make him worth investing in and Chris Pine has excellent chemistry with Gal Gadot. Their scenes together largely work and their interactions carry the film. The film is somewhat lacking in the portrayal of other characters. Ewen Bremner’s Charlie is reliable enough as the comic relief, Lucy Davis’ Etta has some good scenes and there’s some attempt to establish a relationship between Diana and her mother Hippolyta (Connie Nielson) but beyond that the film is somewhat lacking in supporting characters. I don’t see this as a weakness as I liked having the focus on Diana and Steve rather than shoehorning in unnecessary development for background characters. Another thing the film largely lacks is a central antagonist. The story tries to point to Danny Huston’s Ludendorff as the main villain but he really isn’t for reasons that will become clear when you watch the film. There’s also some exposition near the beginning that sets up who the antagonist is supposed to be. I don’t consider that a spoiler because if you’ve seen films like this before then you’ll pick it up right away. The lack of a well developed antagonist is both a good thing and a bad thing. For the bulk of the movie Diana is helping the soldiers fight their War so the War itself essentially becomes the villain of the piece. Leaving it as largely faceless is really effective because it suggests that Diana is a small part of something so much bigger than she is and ties into her naive optimism when she wants to solve the problem but can’t. If the film had followed through on this then it could have been a clever subversion of the standard structure of having a central villain for the hero to overcome. Unfortunately an antagonist is introduced at a very late point in the film and it feels as rushed as you might expect. The battle itself has some meaning to it because it represents a revelation point for Diana who is able to use what she has learned to fuel her commitment to the battle itself but this could easily have been accomplished without including a super powered villain. The execution of the sequence was underwhelming as well since it amounts to yet another bout of invincible people hitting each other with no real context of who is more powerful or what the rules of the actual fight are. It’s a shame as I felt that the film was building to something better than that and I actually thought it would go in a different direction at one point which would have made for a really effective character realisation rather than a CGI soaked final battle. The other action sequences in the film were well executed. There was a really cool sequence on Themiscyra when the German forces stumbled across the island and seeing Diana charge across No Man’s Land was really intense and exciting. One thing the film suffers from is an overuse of slow motion during the various set pieces. At times it’s really effective but it becomes a crutch that the film leans on and almost gets to the point of self parody. In general the film looks amazing. The design work on Themiscyra is incredible and the use of colour in the overall aesthetic is handled really nicely. DC Extended Universe entries are often criticised for looking dull and colourless but this film definitely doesn’t have that problem. The bright primary colours of Diana’s costume against the muddy No Man’s Land was particularly effective. I personally find it refreshing to see some colour in the DC Extended Universe and I hope the trend continues in future films. Tonally the film is bright and optimistic for the most part. There is plenty of levity to be had throughout and the message of hope and positivity comes through clearly. The serious moments are allowed to be serious and I never felt that there was an imbalance between the weight of World War I and the overall positivity of Diana. 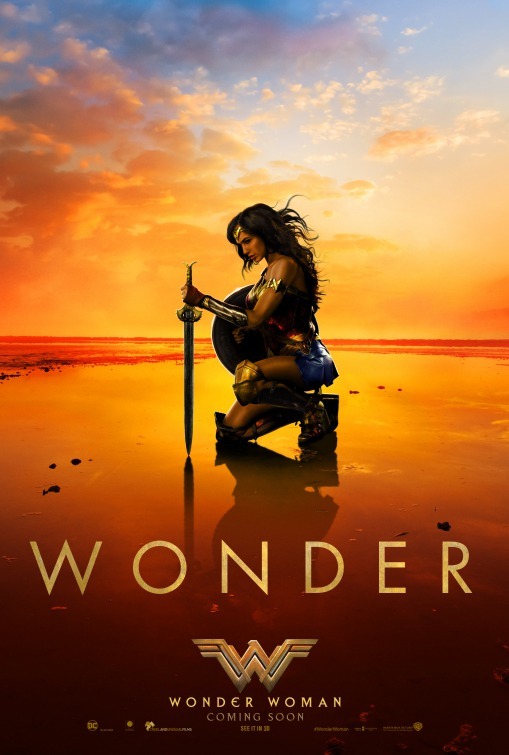 A really impressive solo outing for Wonder Woman that takes the form of a fairly intimate character study. Diana as a character is well established as a positive and optimistic with more than a hint of naivety. Gal Gadot plays her wonderfully and proves herself to be the right choice for the role. Chris Pine has scenes where he is very strong and scenes where he isn’t quite as good but he makes for a solid presence overall and has good chemistry with Gal Gadot. The film smartly doesn’t spend a lot of time on the supporting characters and goes a long time without establishing a central villain. When that does become apparent it’s something of a let down as I thought the film might go in a different direction than the CGI soaked confusing final battle. Other action sequences were well done such as an intense battle across No Man’s Land though there is an overuse of slow motion during the action sequences. The film generally looks great with a bright colour palette and impressive design work. Tonally the film is bright and optimistic but never to the point that it can’t be taken seriously. In general it’s a good showing for the DC Extended Universe and I hope it’s a sign of good things to come.